There are a number of criteria that reviewers use to mistakenly calculate the greatness of a game. By "game", of course, I mean Video Game since I am writing this after 1982. Some of these mistaken criteria are "Graphics Quality", "Story", or "Fun". All of these are crocker. There is only one criterion by which you can judge any game's true Greatness: hours played. At first blush, "Hours played" seems awful as it doesn't take into account for the factors that reviewers routinely write about like "Maximum Resolution" and "Frames Per Second" and other similarly quantifiable values. And to make it even worse Reviewers always gussy up the statistics with wobbly gushy feelings like "playability" and "character exposition". But all of these are bunk because they muddle up the only thing that truly identifies greatness. How long are you willing to put up with it? You might have had a hot girlfriend or a sweet girlfriend but the one you're willing to spend your life with is by your own actions the one you think is greatest. Even if her graphics appeal and audio fidelity average lower than girl A or girl B, the one that's actually great is the one that you want to spend your time with, not the one with the cool effects that gets boring after a while. This is why the greatest game ever is Team Fortress 2. I've logged over 500 hours in this bad boy and it's still bringing me joy. Valve has made a huge effort to continually add additional content (for free) and this has gone a long way toward keeping the community attuned and vibrant. They've even recently started adding content from the community into the game and this has reinvigorated the cycle with more to do and more people involved who make more to do and so on and so forth. 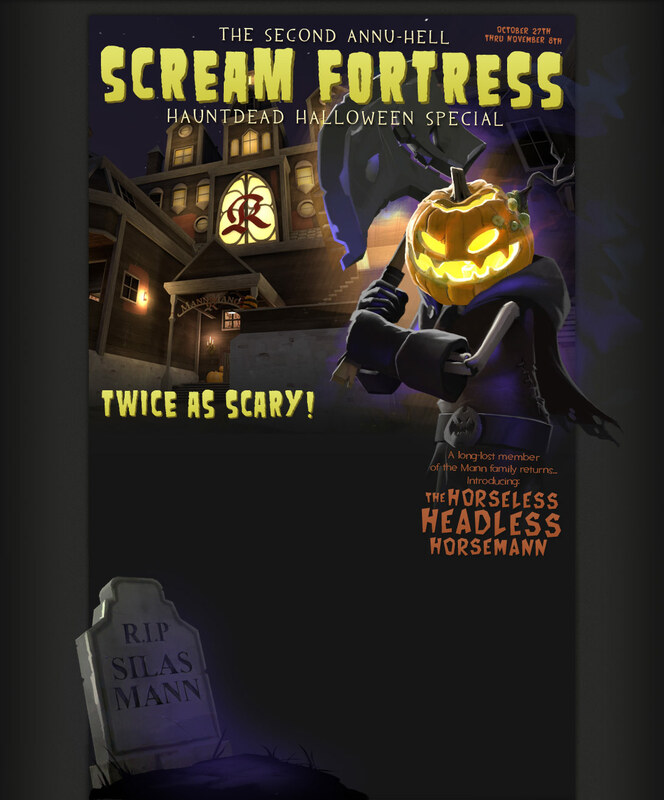 One of my favorite annual updates is Scream Fortress, which is a limited time Halloween themed update with events and achievements intended to embrace the holiday. It's silly and gratuitous but every time I think I'm out, they give me a new reason to stick around and try out the new stuff and revisit my old TF2 friends. Congratulations Team Fortress you're still the Greatest Game Ever.